Welcome aboard our Auckland Tramway – it’s a unique venue experience for cocktail functions, dinner packages plus much more. 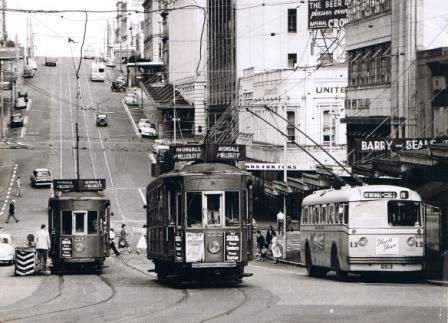 Imagine your guests boarding the beautifully restored Auckland Trams for an evening of fun! What better way to get people together for a social occasion than on a romantic, quirky restored electric tram as it rumbles along the tracks in New Zealand's largest city. The ever-changing views are complemented by your tram driver’s commentary as you pass through the exciting new Wynyard Quarter. We can assist you with theming the tram so that your function can be truly unique and memorable. We can serve you cocktails and snacks, or as part of a larger event, you can use the tram as a special feature, travelling from one venue to another in style, with drinks and nibbles on the way! 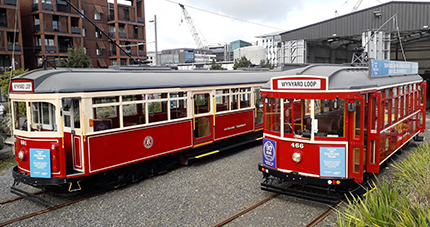 Board an exclusive private tram and enjoy the newly revamped Wynyard Quarter. Relax in a restored heritage tram as you enjoy the live entertaining commentary or background music. Mouth watering selections of bite sized canapés and a selection of beverages will ensure that a good time is had by all. This is a uniquely Auckland pre-dinner experience. We can cater for 20 to 80 people. Buses, taxis or even walking cannot compare with being transferred from veue to venue.